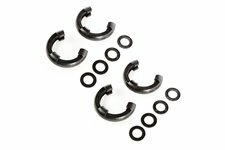 This pair of black D-ring isolators from Rugged Ridge fits 3/4 inch rings and includes 2 rubber isolators and 4 washers. 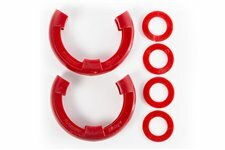 This pair of red D-ring isolators from Rugged Ridge fits 3/4 inch rings and includes 2 rubber isolators and 4 washers. 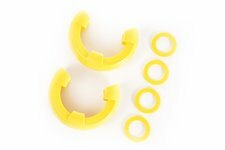 This pair of yellow D-ring isolators from Rugged Ridge fits 3/4 inch rings and includes 2 rubber isolators and 4 washers. 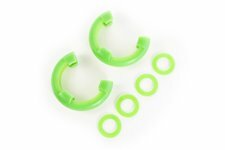 This pair of green D-ring isolators from Rugged Ridge fits 3/4 inch rings and includes 2 rubber isolators and 4 washers. This pair of pink D-ring isolators from Rugged Ridge fits 3/4 inch rings and includes 2 rubber isolators and 4 washers. 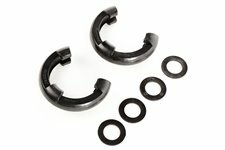 This pair of black D-ring isolators from Rugged Ridge fits 7/8 inch rings and includes 2 rubber isolators and 4 washers. 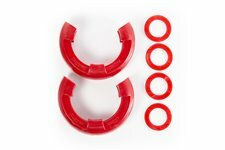 This pair of red D-ring isolators from Rugged Ridge fits 7/8 inch rings and includes 2 rubber isolators and 4 washers. This pair of yellow D-ring isolators from Rugged Ridge fits 7/8 inch rings and includes 2 rubber isolators and 4 washers. 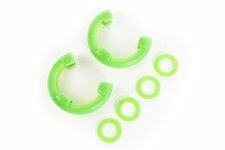 This pair of green D-ring isolators from Rugged Ridge fits 7/8 inch rings and includes 2 rubber isolators and 4 washers. 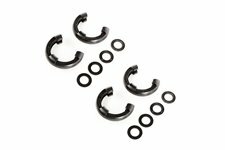 This 2-pair of black D-ring isolators from Rugged Ridge fits 3/4 inch rings and includes 4 rubber isolators and 8 washers. 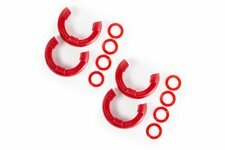 This 2-pair of red D-ring isolators from Rugged Ridge fits 3/4 inch rings and includes 4 rubber isolators and 8 washers. 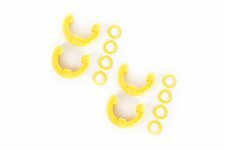 This 2-pair of yellow D-ring isolators from Rugged Ridge fits 3/4 inch rings and includes 4 rubber isolators and 8 washers. This 2-pair of green D-ring isolators from Rugged Ridge fits 3/4 inch rings and includes 4 rubber isolators and 8 washers. This 2-pair of pink D-ring isolators from Rugged Ridge fits 3/4 inch rings and includes 4 rubber isolators and 8 washers. 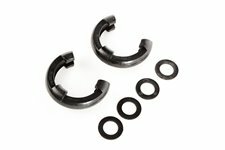 This 2-pair of black D-ring isolators from Rugged Ridge fits 7/8 inch rings and includes 4 rubber isolators and 8 washers. 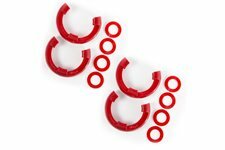 This 2-pair of red D-ring isolators from Rugged Ridge fits 7/8 inch rings and includes 4 rubber isolators and 8 washers. 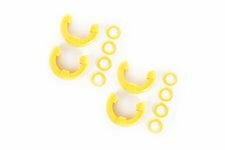 This 2-pair of yellow D-ring isolators from Rugged Ridge fits 7/8 inch rings and includes 4 rubber isolators and 8 washers. 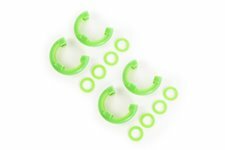 This 2-pair of green D-ring isolators from Rugged Ridge fits 7/8 inch rings and includes 4 rubber isolators and 8 washers.